I always use the same nail polish - coral, purple and black. For my weekend in Southampton I wanted something completely different. So white it is! I accidentally bought a corrector nail polish thinking it was white. I'm a little silly haha. 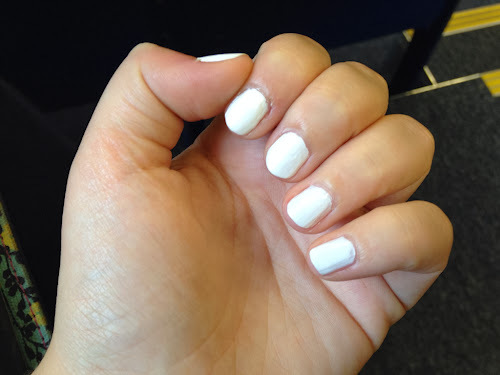 Finally I bought the Barry M polish in Matt White. It's actually better than I thought! It's quite bright but literally goes with everything you own!